Reading is a critical skill to learn, and one that enables all future learning – children must learn to read so they are able to learn. However, reading is also a skill where many children can quickly fall behind, especially those with learning disabilities. How then can children with learning difficulties be supported? Save the Children in Malawi is working to address this problem through an education program we call the Special Needs Action Pack, or SNAP. Since 2008, we’ve been working with children, teachers and community members to strengthen literacy skills of children in Zomba, for example through efforts that improve access to books and introduce child-centered teaching methods in classrooms that use games, songs and play to help children learn to their fullest potential. Last year, we started working to redesign those programs to ensure they are truly all-inclusive, most importantly for learners who were not fully benefiting yet due to their diverse learning needs. 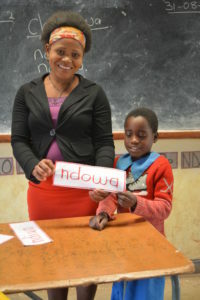 Modester in her classroom in Zomba, with one of her students. Through SNAP, we help ensure quality and equitable education to every child, regardless of his or her physical, mental or emotional status. SNAP explained simply is a set of tools designed to equip teachers with skills on how they can identify and effectively support learners with special needs, and ensure those struggling to read in class improve their reading abilities. Save the Children also works hand-in-hand with the district’s Ministry of Education office, to ensure local partners are involved in ownership of programs for children. Modester is a 6th grade teacher who has benefited greatly from the SNAP trainings. 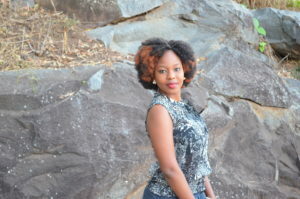 Before the trainings, Modester faced numerous difficulties in teaching special needs children – she handled all the students in her classroom as though they had the same abilities. She did not realize the importance of treating children as individuals with different abilities to learn, and as a result, learners who were slow to grasp were missing out on her lessons. Through lessons learned in the trainings she participated in as a part of SNAP, Modester is now able to identify and employ effective strategies of supporting all her students. Strategies include how to better plan lessons to accommodate individual learning and needs. 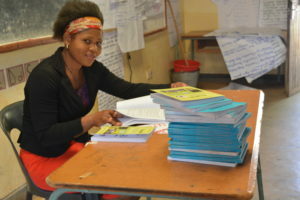 Learning and assessment materials are also provided, and general knowledge on how teachers can ably accommodate all learners in their lessons. Modester also learned how to create learning materials using low-cost and locally available resources, for example, how to create raised prints for learners with visual challenges by hand. Modester, a 6th grade teacher who has benefited greatly from sponsorship trainings. SNAP training sessions have been conducted in 30 sponsorship schools and through these sessions, teachers are able to use these skills to help children with learning difficulties in other learning areas besides reading, such as in mathematics. School attendance is up in these schools, and overall now all students can be seen participating in class activities, rather than just a few. “I am proud and thankful to Save the Children. I would not have acquired these skills without them, and the Ministry of Education would not have done this alone. Such innovations are very imperative”, concluded Modester.